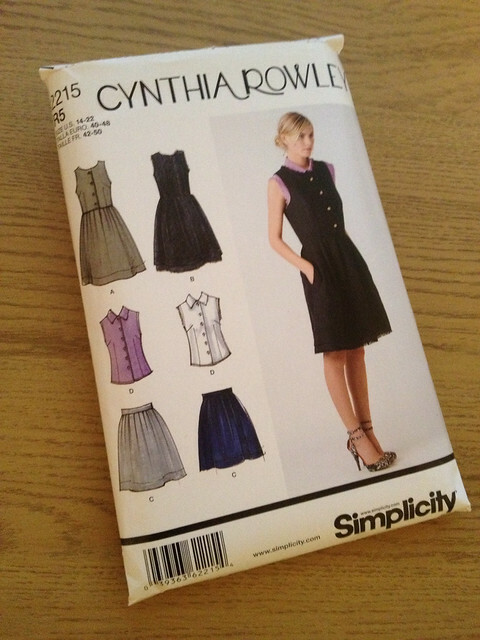 Another Cynthia Rowley pattern! 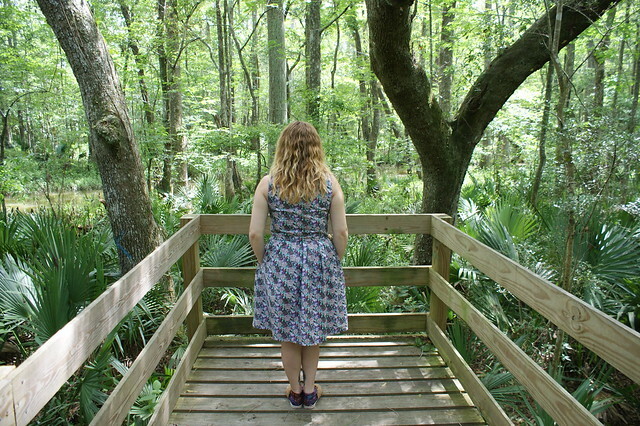 This collarless shirt dress can be plain but also has an option for fringing. I chose to go with the plain; view A. This dress was constructed in the wrong order completely! 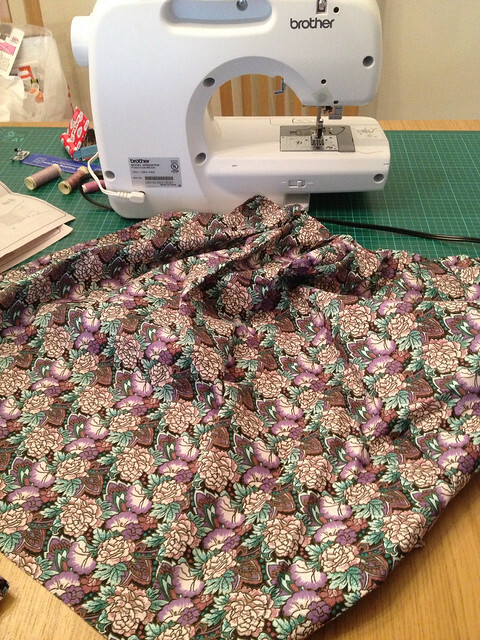 I ran out of interfacing & didn’t have the zip I needed :-0 So I started with pleating the skirt & finishing the raw edges with an overlock stitch. 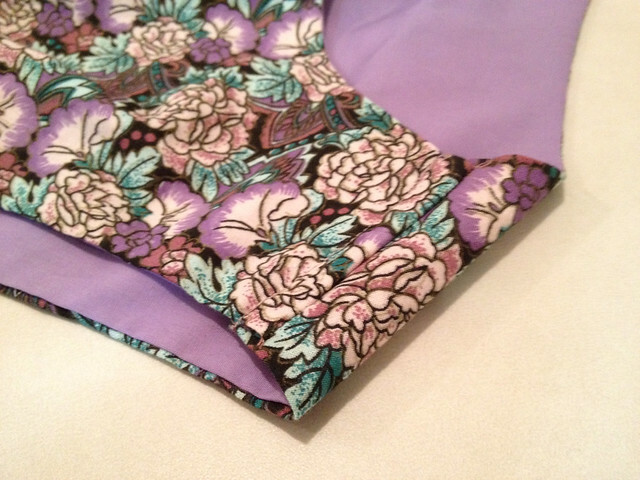 I would have liked to use French seams but the side zip got in the way so I gave up! Once I had interfacing, I carried on with the rest of the construction. I found the method of making this dress very strange. 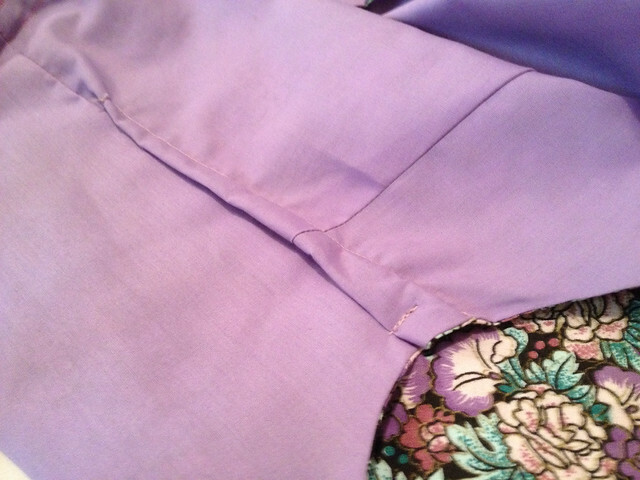 As the side zip goes down the bodice and skirt, one of the pockets had to be stitched to the front skirt piece in full, and the other pocket was created using the method I know; part of the pocket on the front, part of the pocket on the back and stitching the seam, going around the pocket. 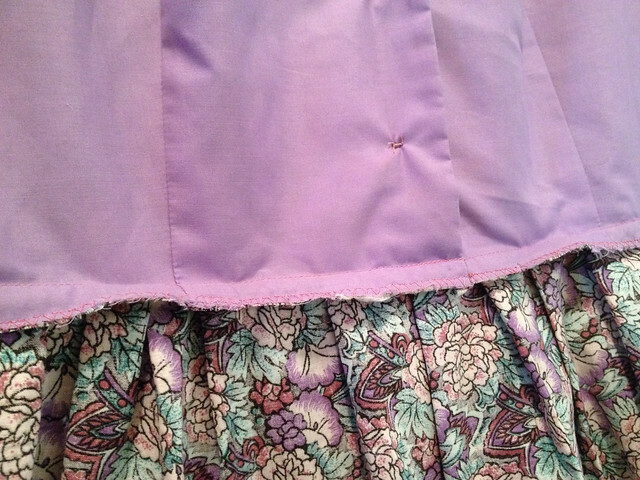 The bodice was made in the same way I had done before with the 1873 and Lilou but then when attached to the skirt, the lining didn’t encase the waist seam. So the lining still looks a little unfinished inside to me. I would normally stitch in the ditch to attach the lining but this time both the lining and outer fabrics were sewn together when the bodice and skirt were joined…strange? Even though the invisible side zip scared me slightly, it actually went in pretty smoothly but isn’t that invisible. It was a little tricky manoeuvring the pocket so I didn’t catch it in the zip or side seam too. I should have learnt my lesson from the 1873 and shortened the bodice. But I didn’t. When I tried it on, the bodice was huge! The waist line sat on my waist but left me with gaping bits under the arms and shoulders which were standing off my shoulders. I was a little disheartened as I knew that If I wanted it to be fixed and keep the super neat lining, I would have to unpick most of the dress. So, I set about trying to alter it without doing too much damage to the innards. I took each shoulder up by 1.5cm but stitched the allowance down to make it less bulky. I also added a small vertical dart next to each side seam and stitched this down too. These changes made a huge difference in the fit! However, the side darts make the front pull a tiny bit over my bust. 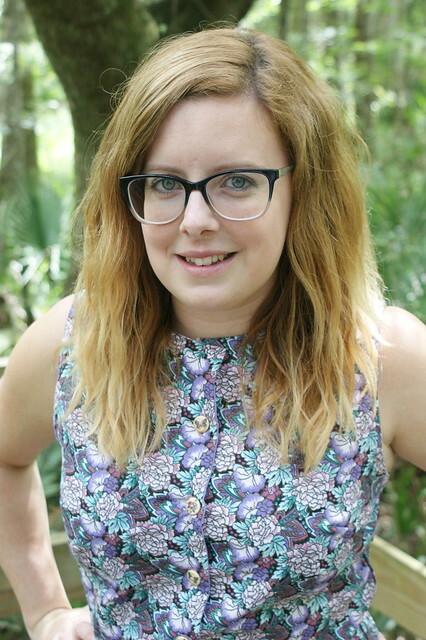 I think I can get away with it though – what do you think? I am in love with this dress! I wore it while out on a little walk with Maisy and it is sooo comfy. 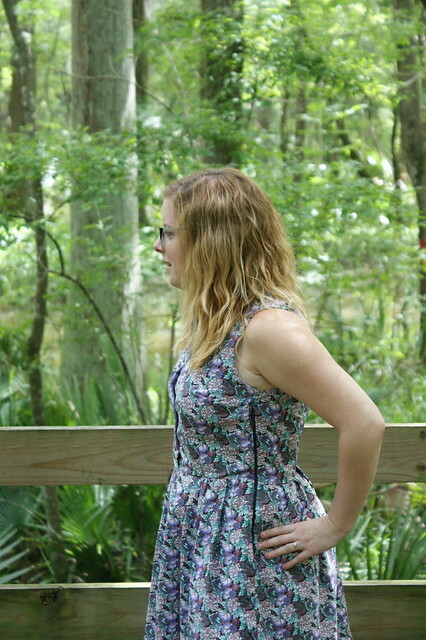 It’s nice to have pockets too as I love to slouch, even in a dress! Ha! Thanks – I really like this one! Worn it a few times already! I’m hoping that I can transfer the adjustments to the pattern for the next time I make it. I think that I have to agree with Sewchet, it’s very cute on you. Good job! It is isn’t it?! I *almost* had a strop but decided against it…glad I managed to fix it! Encouraging to see how others get past the “clinks” along the sewing path. 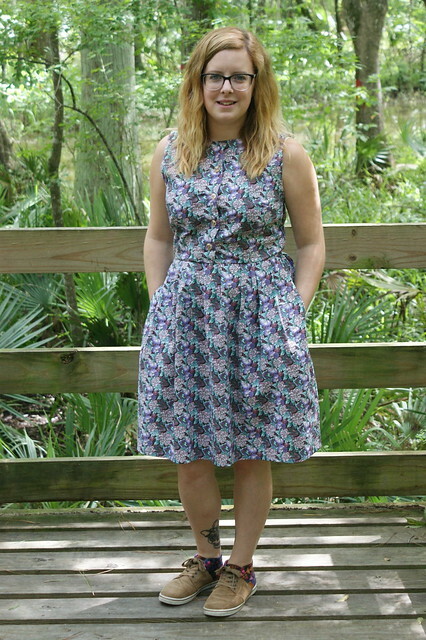 Very pretty dress, wooden buttons are so cute, and love the big pockets! Thank you, such a kind thing to say! I also thought that the lining was to save time…I’ve tried to think about how I’m going to do it next time and I’m still not sure! I’m hoping I might be able to make the lining longer and then fold it under like the 1873 but there seems to be quite a few complicated things to get around with this one! 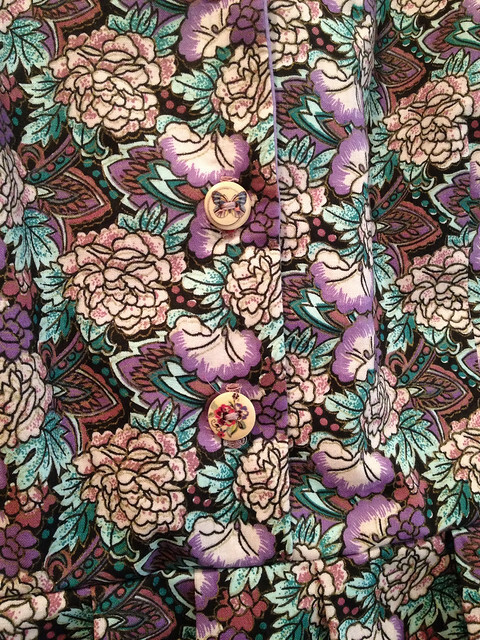 I have made the skirt version of this pattern (I am a Cynthia Rowley pattern junkie). I didn’t like the skirt because of the pleats! The fabric is great and even though you hit some snags, it all worked out!